30mm Aluminium wheel spacers for the Defender, Discovery 1 and Classic Range Rover were originally designed to allow the fitting of the wider Off-road wheels with greater ‘inset’ and more aggressive tyres without sticking out beyond the wheel arch extensions. They have become more popular as larger wheel arch extensions are available and lift kits are used. They offer the ability to improve the turning circle by spacing the wheel and tyre away from the radius arm ( that normally restricts the lock ) when more aggressive tyres are fitted in conjunction with adjusting the lock stops. 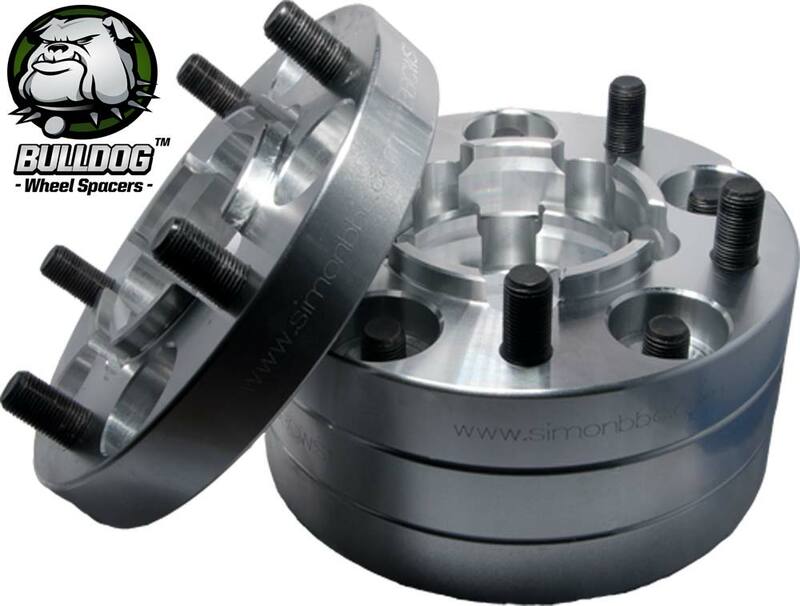 In general the aluminium wheel spacers are preferred because they reduce the ‘unsprung weight’. The spacers use high grade steel bolts and original Land Rover steel nuts and are machined to match the taper of the OE nut. We recommend 30mm as the maximium spacer width. Thank you for your question, we will be doing more vehicles in 2012 but at the moment we stock Land Rover specifically. Please sign up to our newsletter to get the latest updates, you can do this on our website or call to be added.